Access to Anyone is the podcast that explores how you can get to know anyone you want to in business and in life using everything from the latest technology to the most time tested principles. 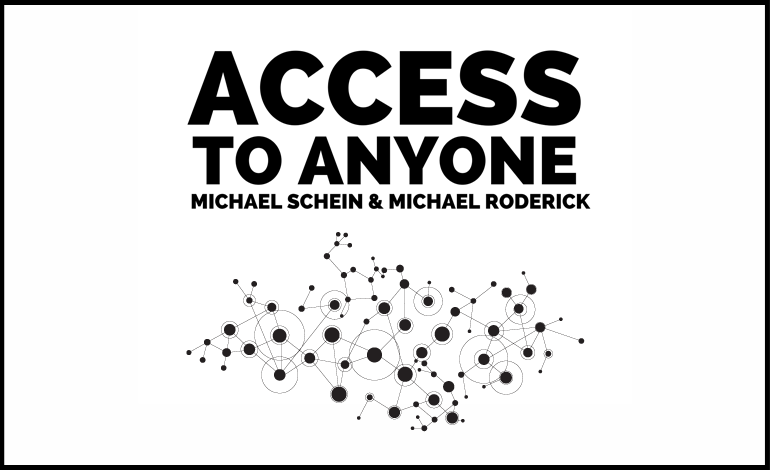 Hosts Michael Schein and Michael Roderick cover topics such as the Art of the Ask, how to use online content to make power players clamor to meet you, and the technique of “leveling up”. How to meet the right people and build a community that will help and support you. Building relationships both online and offline. How to go from an English teacher to a Broadway producer in less than two years. Why you should help others become more successful.